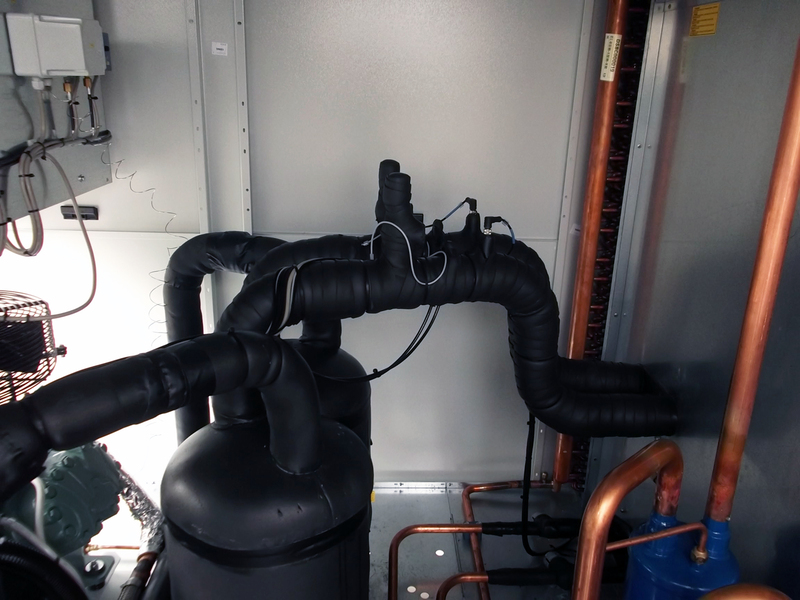 Recently in Tempco we’ve developed a refrigeration solution for near-cryogenic temperatures supplied to a customer in the pharma sector, aimed to cool down to -25°C the reactor employed in the production of the active ingredient of an innovative aerosol. 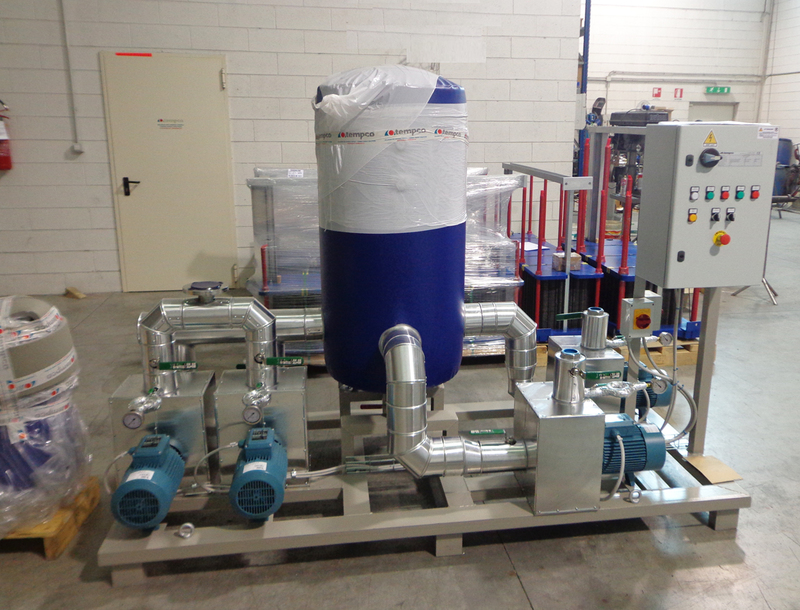 The solution using chillers was the preferred one, due to its technical advantages and the easier management. We agreed with the customer to develop a system employing two chillers working in parallel, each one achieving 75% of the total duty required. The cooling capacity of each chiller is -30°C, and an automatic regulation system of the condensation ensures the best process efficiency in every season, an essential requirement because the plant is always operating. The remote management from a control-room allows monitoring and piloting of both chillers and pumps, with the possibility to manage alarms in order to ensure maximum productivity and to avoid expensive downtimes.